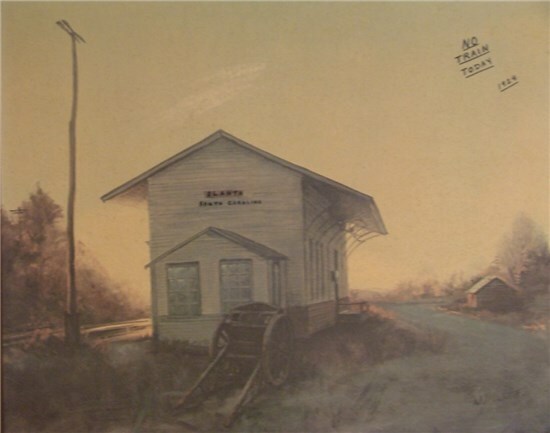 On June 1st, 1908, the charter for Olanta, SC was signed by the Secretary of State, R. M. McCown. T. J. Cunningham is shown as the "Intendant", mayor for Olanta. The "History" of Olanta already has a problem. It is believed that this was in fact, a T. J. Cottingham. Census information for the area in 1900 and 1910 does not show a Cottingham or a Cunningham in the area, but research in the archives of the State Newspaper shows a T. J. Cottingham was in the area, leaving for the Lake Township of then Williamsburg County before 1910. This area, near Lake City, would become part of Florence County very shortly. Research of T. J. Cottingham shows that he came to the area from the Dillon area of SC. He attended Wofford College in the years of 1900, 1901, and 1902. He was born September 20, 1883, and based on his registration for WWI, his full name was Thad Jerome Cottingham. At the time of this registration, he was working with a bank in Lake City as a cashier. Shortly after 1920, he apparently would be employed by a bank in Cades, SC as a V.P. This information was gained from the book of the history of Williamsburg County. The obituary in 1956, shows that he was president of a small town in SC in 1905, which would probably be Olanta, SC. That at least places him in our area for 3 to 4 years before moving. He was married first to a Margaret Cox of Rowland, NC, being born in the Dillon area of SC. Before 1926, he would apparently move his family to the Birmingham, Al area, as the death of his son was found on the records of Jefferson County, Al. The obituary in 1956, shows that he was also the Vice-President of the Columbia National Bank in 1922. He would also serve for a few years as the Southeastern bank examiner before his move to Alabama. 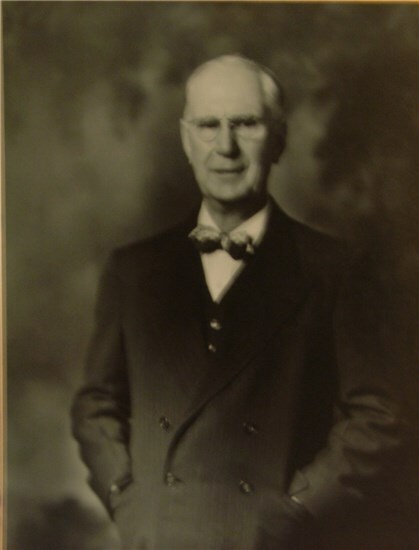 He was shown as a bank president in the 1936 Census in Jefferson County, Al. He and his family would remain in the Alabama area until his death is reported in Decatur, Al. in 1956. Attempts have been successful in locating some of his relatives, finding two of his Grandchildren thru his daughter, Harriet.. She married William D. Lanning of Al. and I am communicating with the 2 children hoping to get more iniformation on the family, it would be nice to know more about the family of our youngest "Mayor" and first, are. Recent information obtained shows that Thad Cottingham was President of the State National Bank. His family moved to Decatur in 1937. More information is being worked on, hoping to find the source of his interest in coming to Olanta in 1904-1905. It is interesting that our 1st Mayor, high school principal in 1910, and sales person for selling a large part of the lots of Olanta were all from the upper state. Thanks to the Jack Wilkes family for providing me with a chance to photo the above picture. It apparently represents a quiet time at the train station facility in Olanta around 1924. Questions exist that need to be answered in order to accept it as a true representation as to a part of the Olanta history. Note that the sun is either setting or rising over the station. That would indicate an east/west picture vs what should be a north/south picture, if the station was on the main track. And if that question can be answered, it might lead to finding just where this station was located. A plat exists in 1906 that indicates it would have been located on the east end of Main St. in the area where the laundromat now exists today and in the area that the old cotton gin is located. If you have any thoughts or facts relating to this, please let us hear from you. To continue reading more about our history, please click here. If anyone has any information to be added to the history of Olanta, please contact donpigate@olantasc.com.